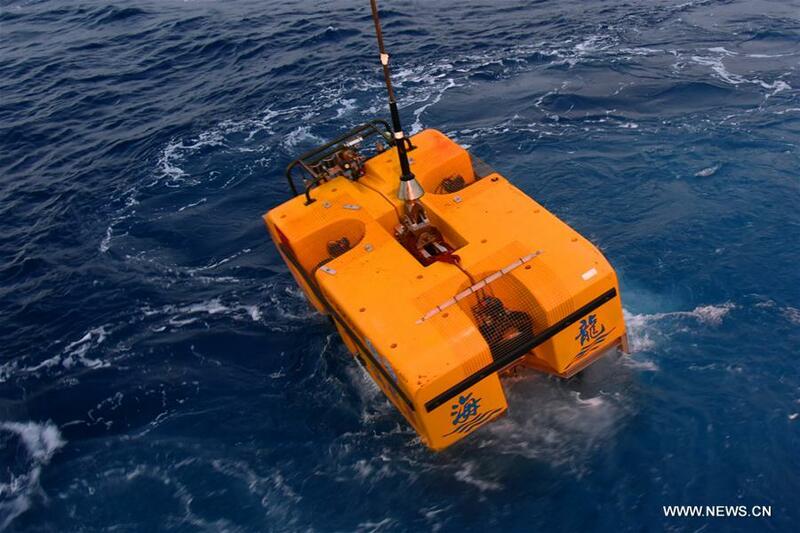 China's unmanned submersible "Hailong III" dived 4,266 meters below the sea surface in the western Pacific Ocean late Wednesday while conducting a 4,500-meter level deep water test. The submersible entered the water from its mothership Dayang Yihao (Ocean No. 1), a Chinese scientific research ship, at 6:30 p.m. Beijing time (1030 GMT). It reached the depth of 4,266 meters some 174 minutes later, and returned to the deck of the mothership early on Thursday. Yang Lei, head of a panel involved in Wednesday's sea test, said Hailong III has broad prospects in application in deep-sea exploration, and could be a favorable work platform for marine observation, deep-sea exploration and sampling. 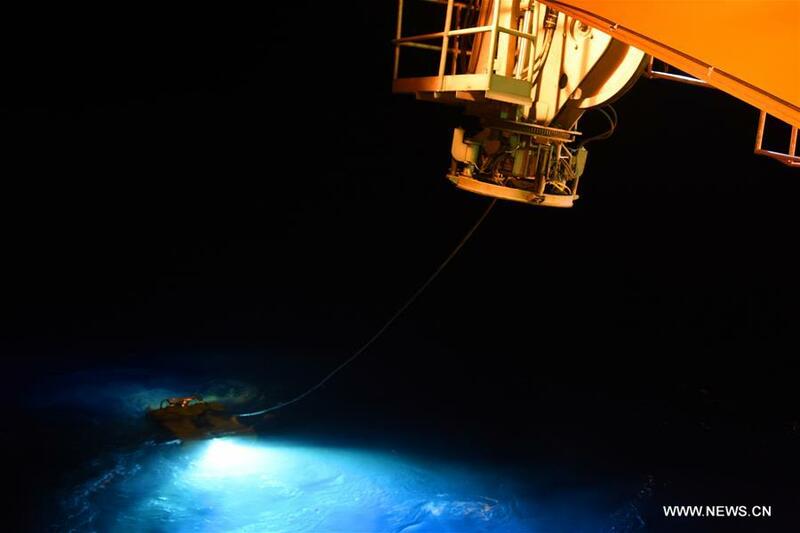 Chu Fengyou, chief scientist of Dayang Yihao, said the submersible, which is able to dive to a depth of 6,000 meters, has completed a 400-meter level shallow sea test on March 24 and a 2,000-meter level test on the following day. The submersible was scheduled to take the 4,500-meter level deep water test in late March, but Dayang Yihao could not find an ideal place for the submersible to carry out its tasks due to the influence of Typhoon Jelawat, said Chu. The area where the submersible dived a depth of 4,266 meters was the best location at the time, said Chu, adding that the neighboring sea areas could not meet the requirements for the submersible to complete the test. Dayang Yihao departed China's eastern port city of Qingdao on March 20, taking scientists on a 45-day scientific expedition. The unmanned submersible "Hailong III" completed its first deep sea test in the western Pacific Ocean on Sunday. The submersible entered the 1,690-meter-deep sea area from the Chinese research vessel Dayang Yihao (Ocean No. 1) at 5:20 a.m.